Check out this very nicely detailed Pinup which was drawn entirely by the great John Byrne, early in his illustrious career! 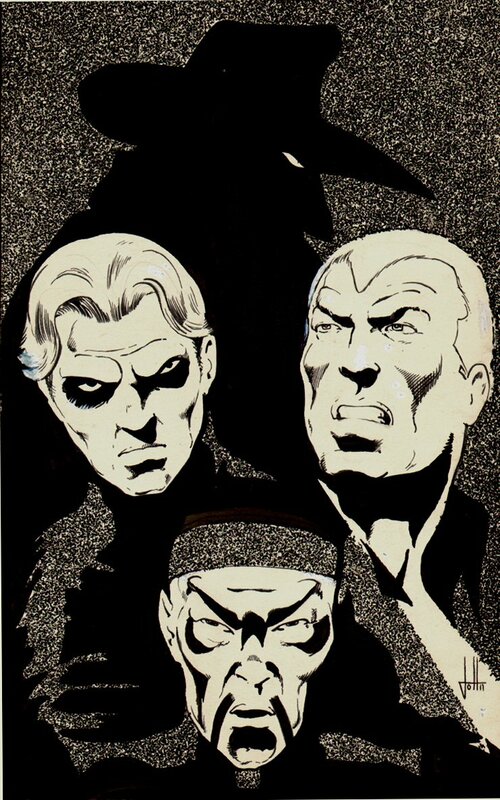 This Pinup features John Byrne drawing a homage to the "Pulp" heroes: the Shadow, Doc Savage, The Avenger and Fu Manchu! Art is drawn on a 7.8 by 12.5 inch art board, and is signed at the bottom! Just a neat piece!